It was little noticed at the time, but last September a nationwide gathering of conservatives took a symbolic step toward remaking the U.S. Constitution. Three Vermont lawmakers participated: Rep. Bob Helm (R-Fair Haven), Rep. Lynn Batchelor (R-Derby Line) and Rep. Vicki Strong (R-Irasburg). The event was called the Convention of States, and it was meant to be a model of what’s called an Article V Convention. There are two ways to amend the Constitution: the first begins with Congress adopting an amendment. But under the Constitution’s Article V, the states may also initiate a convention. This has never happened in American history and legal scholars disagree over some key aspects of the process. The COS took place in Williamsburg, Virginia. It was organized by a group called Citizens for Self-Governance — which, according to the left-leaning Center for Media and Democracy, has ties to the Tea Party movement, the American Legislative Exchange Council (ALEC) and the conservative mega-donors Charles and David Koch. Doubtful. There’s plenty of evidence that both groups are part of a well-funded, well-organized, nationwide conservative network. The Convention of States brags of its close ties to ALEC. According to a COS press release, the rules for its mock convention were first announced at an ALEC meeting in 2015. And, in September 2015, ALEC produced a model Article V resolution for state lawmakers to introduce in their own legislatures. At September’s simulated convention, delegates passed six amendments. Those included a mandate that the federal budget be balanced each year, term limits for members of Congress, abolishing the federal income tax, and radically restricting federal jurisdiction by redefining the commerce clause — the basis for much federal regulation. All three Vermonters voted for all six of the amendments adopted by the convention. 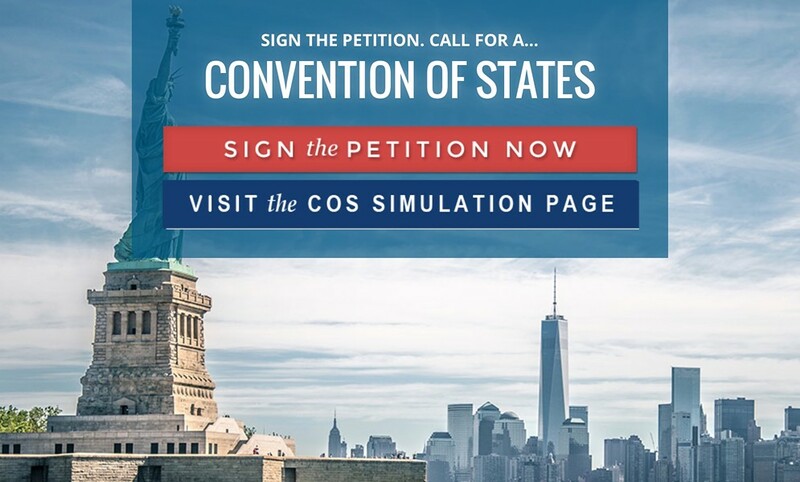 The COS is closing in on the first step toward its ultimate goal of an actual constitutional convention. Republicans control the legislatures in 33 states. Thirty-four states must pass an Article V resolution to trigger such an event. At a real-life Article V convention, delegates would debate proposed amendments. Any that pass would need to be ratified by three-fourths (38) of the states. Still a high bar to overcome, but organizers have made a lot of progress with little publicity, thanks to Republican electoral dominance at the state level. The ultimate prize: fashioning a new Constitution that would remake the federal government in ALEC’s image. If you ask the three Vermont delegates, they don’t see a vast right-wing conspiracy. They see freedom-loving Americans coming together to take back their government. “There are people in the state who are contacting me who are interested in it,” said Helm. “Some are really sold on it and they really call me all the time.” He hopes to rally more true believers to the cause. Is there a contradiction at work? Conservatives have brandished the Constitution as an unchanging document with almost Biblical authority. Now they’re talking about a drastic rewrite. Helm plans to introduce an Article V resolution in the Vermont House this year, but he’s realistic about his colleagues’ willingness to vote for it. “I don’t think they will,” he acknowledges.